Mexico’s state oil firm Pemex announced a new five-year business plan that involves a big uptick in potential offshore joint venture projects. It predicts an overall 15% increase in production and a return to profit before the end of the decade. The plan for 2016-2021 could include as many as 160 opportunities (both on land and offshore) for private players in the next two years alone. It all fits in with the strategy of 2013’s energy reform program, by which the government began reducing Pemex’s monopoly position in domestic production and inviting in private and foreign companies with the aim of improving output and efficiency. Prior to the reforms Pemex had enjoyed a near 80-year monopoly in the oil industry. This year has seen some drastic budget and investment cutbacks by Pemex because of the slumping oil market. The company hopes that this streamlining, combined with farming out projects and making new partnerships will turn around its financial position. The farm out for shallow water area Avin-Batsil is set for April 2017. And in 2018 Pemex is planning to farm out six shallow-water areas in the North region. 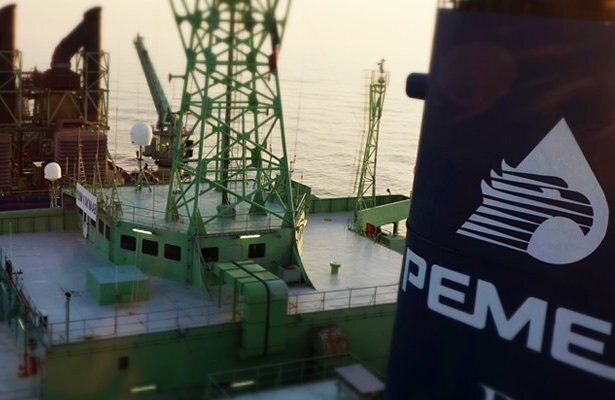 In December, the licence will be awarded for the first offshore JV in Mexico’s history, with the Trion deep-water field in the Perdido Fold Belt near the maritime border with the US in the Gulf of Mexico. It is believed to contain around 480m barrels of oil equivalent worth about $11bn.